Open to public outside of school hours. Shares space with the cross country course - watch for runners. I-96; exit 101. Go south on M-99 for 0.4 mile to a left on Bishop Rd. Go 0.5 mile to a right on Grovenburg Rd. Go 1.8 miles to the school entrance on the left. 1st tee is near the baseball fields. 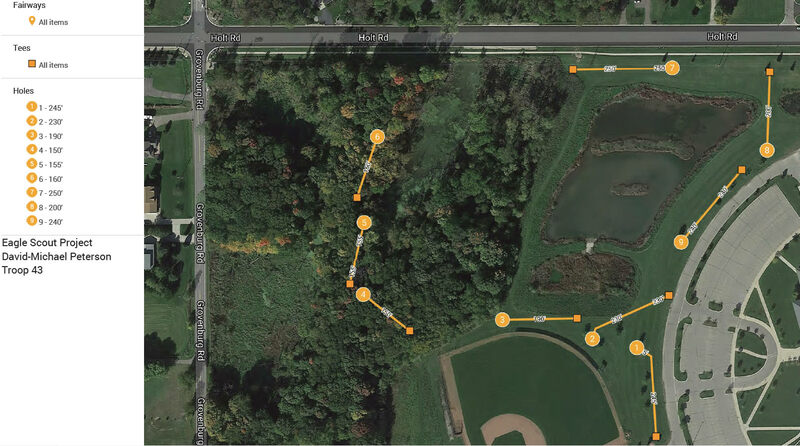 Have you played at Holt Rams Disc Golf Course? Be the first person to review this course!